The design team at Custom Earth Promos really went all out on my order it really made me feel appreciated. We created a great looking bottle. Thank you Custom Earth Promos. The design team at CEP really went into depth and I love what they came across. Thanks a lot Custom Earth Promos. Love this company! I am overly impressed with their devotion to bring their customers 100% satisfaction! These eco-friendly tumblers have a removable lid with thumb slide and twist-on features! Love these designs and features! Thank you again CEP!! My customers love these it keeps your coffee warm for a long time. We give these customized stainless steel tumblers to all our customers. Its an eco-friendly way for us to say to say thank you, and promote our brand. These stainless steel tumblers are so convenient and get so much use in the office. Its a good feeling knowing that these tumblers can be recycled when finished. I support an eco-friendly product whenever I can. I customized the insulated stainless steel tumblers for our coffee shop. I've gained exposure and helped the environment at the same time. Great imprint space on the stainless steel tumblers. My slogan fit with ease. I've use these at all the events I attend to build up client base. I'm constantly getting calls directly related to exposure from these stainless steel tumblers. Custom Earth Promos presented some really nice ideas for my marketing campaign. Thank you to the whole team. We sell these in the school store. Its a great way for everyone to represent our school and be earth-conscience in what we do. We gave the customized tumblers to the entire faculty with our school logo. Just wanted to say a little thank you. Your customers have brands fighting for their business each and every day, bombarded with a fierce competition of attention grabbing tactics, pitches and empty promises. 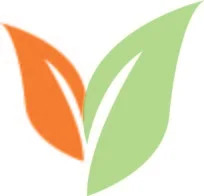 Instead of using invasive methods that don't leave a fond memory of your business with those you're trying to secure loyalty from, take Custom Earth Promos' eco-optimized, intelligent approach to catching their eye. With Customizable Insulated Stainless Steel Tumblers, your marketing initiatives coincide with high style and eco-responsibility to pave a true path of glory. Modern day customers worldwide are paying more attention to, and placing more value in, the eco-consciousness and moral backbone of the brands they purchase from. Consumers around the globe are putting a lot of time and effort into investigating production methods, policies and "green" products from brands, looking for standards that align with their own. Answer your consumer demands with a sustainable product that safely replaces disposable plastic bottles. With your brand name rendered across the visible imprint area in a sizable 8.5" W x 3" H space, you'll be optimizing your exposure while building value as a green-conscious brand. Businesses serving every industry who have established themselves as leaders of the "Big Green Movement" are growing at four times the rate of competitors, receiving higher levels of brand trust, securing higher sales, long-term profitability and attracting more interest from global investors. The time is now to invest in the eco-friendly value of your brand name. 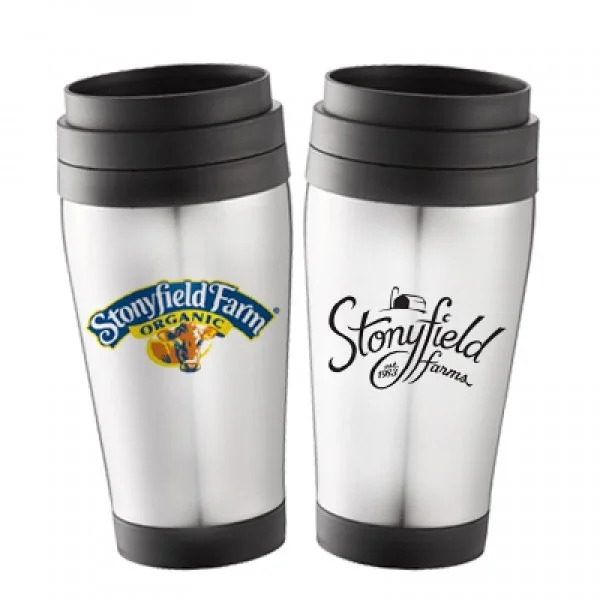 A Customizable Insulated Stainless Steel Tumblers promotion today has the potential to pay off tenfold in ROI's of brand awareness, interest, loyalty and industry growth in the future. With our virtual spec platform, hands-on assistance from a Custom Earth Promos design expert and a plentiful inventory, you can rest assured that time or stock restraints will not weigh down your corporate event or ad campaign needs. We provide customers the option of using our virtual design tools to mock up their graphics, making it easier than ever before to submit and plot your exclusive blueprint for Customizable Insulated Stainless Steel Tumblers. With a virtual spec, you'll know exactly how your custom graphic will look alongside the bottle, making it easier to arrive at a final design choice that you are 100% confident in. This saves a great deal of time and money on re-runs and re-orders, guaranteeing our customers are able to focus solely on the eco-friendly promotional campaign at hand. Do your customers and the planet a great favor by reducing the pollution and excess waste caused by the massive overproduction of plastic water bottles. With Customizable Insulated Stainless Steel Tumblers, you're also guaranteeing the safety of your customers by ensuring they are not ingesting harmful BPA, which has been linked to a host of health-related problems since the 1980's. With customers being more eco-conscious than ever before, you stand to make a wonderful and lasting impression by promoting your brand with a sustainable product that speaks to your high moral and environmental standards. Reach out to an in-house design expert today to start building your exclusive order of eco-friendly tumblers today!